The warmer weather is now approaching so it’s time to start thinking about refreshing your outdoor display kit. 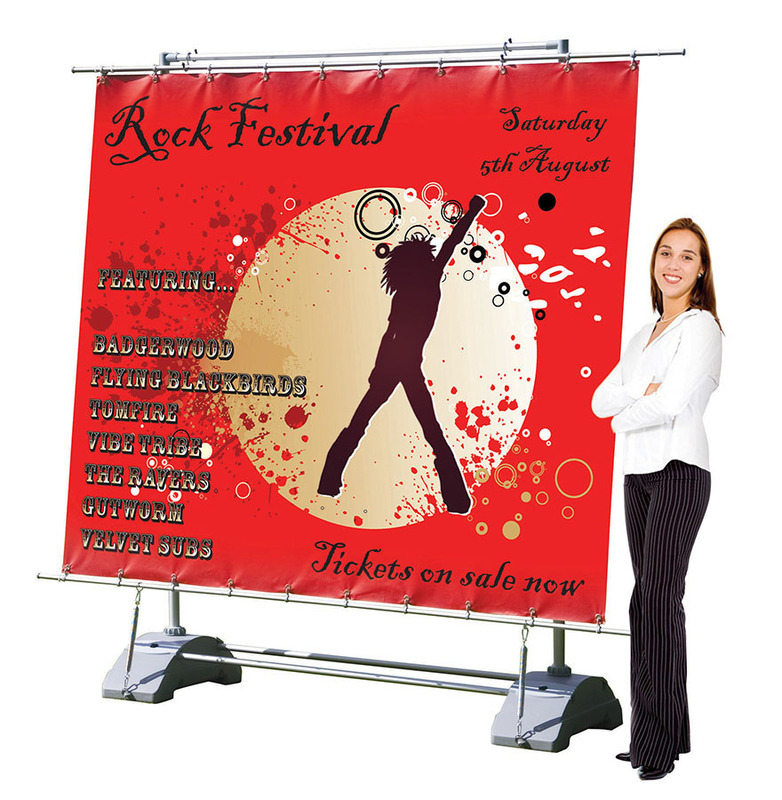 Outdoor banners are an excellent way of presenting your brand for outdoor events and exhibitions. Specially designed for outdoor use, our outdoor banner range is waterproof, weather resistant and can be used whatever the weather. Typically used for outdoor exhibitions, trade shows, county fairs, fetes and sporting events. We offer a wide range of different shapes and sizes that are available within 3-5 working days. Ideal if you have left it until the last minute to check your outdoor banner. Thunder Outdoor Banner – This is a double-sided outdoor retractable roller banner which comprises all the features of a traditional banner stand, but with increased strength and durability making it ideal for outdoor purposes. The double-sided large graphics area provides you with maximum brand exposure from all angles. Blizzard Outdoor Banner – It features a hollow plastic base which can be filled with water or sand to weigh the banner down. The base has a 21-litre capacity and once filled, it can withstand winds up to Beaufort scale 4 (13-18mph/12-29kmh). The full colour printed PVC graphic is held in place by eyelets – one in each corner. This provides a tensioned graphic which is fully water and weatherproof. Horizon Outdoor Banner – The largest of our outdoor banner range. Suitable as an outdoor display solution for advertisements at exhibitions, on sporting fields or in public areas such as shopping centres or airports. Standing at 2m high and 2.5m wide, this banner stand has hollow feet that can be filled with sand or water. Once weighted down, the Horizon banner can withstand winds of 10-12mph (16-19kph). The telescopic poles are height adjustable and multiple banners can be linked together to create a large display for a greater impact. Storm Hydro Outdoor Banner - Available single or double-sided. Built for durability and strength, the Storm Hydro is suitable for both indoor and outdoor events. The hollow moulded base can be filled with water or sand making it especially suitable for high traffic areas and allows use in wind speeds of 10-12mph (16-19kph). Printed graphics are held in place by a simple eyelet system which provides a tensioned graphics display, perfect for a professional looking brand promotion. Stowaway Outdoor Banner – For something a little different choose the Stowaway. Extremely lightweight and portable. It is constructed from robust sprung metal tape frame which is covered with a double-sided printed fabric graphic. 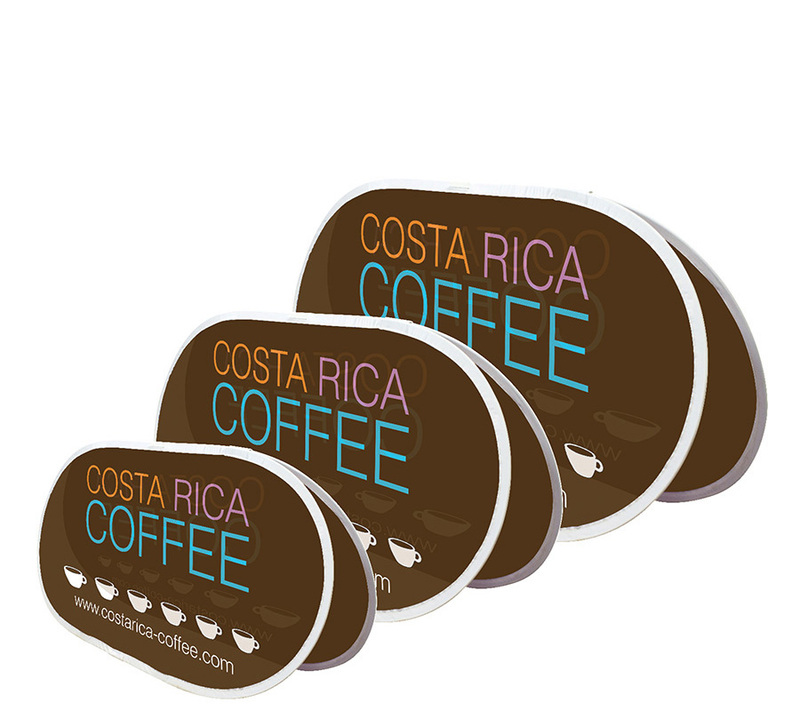 Easily folded up into small lightweight package which effortlessly slides into the specially designed carry bag. Anchor to the ground using tent pegs which secure the outdoor banner down on soft ground. Available in three sizes: small, medium and large. Monsoon Outdoor Banner – A landscape 'A' frame banner suitable for outdoor events where a large format outdoor display is required for effective brand promotion. Manufactured from a lightweight, square aluminium frame with reinforced plastic moulding that simply pushes together with a flush-fit join. The large printed PVC graphics are attached to the aluminium frame with elastic bungee cords. Available in two sizes -2500mm and 3000mm wide. Supplied with tent pegs for anchoring the outdoor banner down on soft ground, once anchored it can be used in winds up to Beaufort scale 5 (18-24mph). Also available is the wall monsoon outdoor banner. Available in three sizes, this banner fixes directly on to brick walls. With a durable aluminium frame and weather resistant PVC banner, it can be used for outdoor signage for businesses. X-GLOO Inflatable Display Wall – Provides a high impact and versatile outdoor display solution which is suitable for all outdoor events. Perfect as a large backdrop, sponsor board or presentation wall. Robust and durable, the display wall is constructed from a black PVC frame with welded seams and connections points. It has been built to withstand a long life of repeated use and guarantees a return on your investment. The custom printed graphic is securely attached to the inflatable frame using a clever, but simple, system of toggles. Supplied with an inflatable support which can be filled with water for extra stability and includes a peg set, fill hose and connection bolts. The range of anchoring systems available means that the display wall can be used in all weather conditions even in remote locations. One X-GLOO Display wall can be easily linked to others to create a large format back wall which can be adapt to a different shape, l-shape, straight or zigzag. What are the Benefits of our Outdoor Banners? We offer a wide range of outdoor products from outdoor flags, to printed gazebos, pavement signs and café barriers. For more information on our outdoor displays contact us or call us on 01733 511030.